You are currently browsing the tag archive for the ‘Northern Virginia’ tag. 1. Why are we calling for change in our community? Every day the children in our community are experiencing abuse and neglect – reports of heartbreaking cases are in the news daily. Unfortunately, more than 40,000 children in Virginia were involved in a valid report of abuse or neglect last year, with 48 children dying as a result of their maltreatment. Across the U.S., an estimated 679,000 children were victims of abuse last year. 2. What is more important than the wellbeing and innocence of a child? Prevention is the key to reducing these statistics and keeping children safe. SCAN’s staff, volunteers and Board of Directors are working diligently to develop and grow effective prevention programs for all children and families in our community.These programs are focused on well-researched ways to reduce the risk factors associated with child abuse and neglect, while improving outcomes for children and families who are exposed to multiple risk factors. Our goal is always to mitigate effects of victimization for children! 3. Who will partner, volunteer, donate and advocate for the protection of children? We invite you to meet the people who have connected with SCAN over the past year to be educated, empowered and energized to make a difference for children and families in our community. READ THOSE STORIES IN OUR ANNUAL REPORT HERE! At SCAN, we believe there is no one way to create change; there must be thousands of us working together to make it happen in Northern Virginia. We challenge you to join SCAN as we energize a community for lasting change that focuses on prevention and the ultimate protection of our children for years to come. Please make a year-end donation to SCAN here. It’s a new school year and we’re excited to launch a new menu of workshops for the community! We encourage ALL groups of people to consider a workshop — from nonprofits, schools and government agencies to parenting groups, employers and faith groups. Our workshops are based on SCAN’s existing child abuse prevention and advocacy programs as well as the expertise of SCAN staff. We can often customize workshops for the specific needs of a group, and most topics are available in English and Spanish, too! So, how does your group want to be empowered this year? Strategies for the Working Parent: Customize a parenting topic to compliment your human resource efforts in your office and offer support to your employees. How can we support your organization in its work this year to build stronger families, support parents and protect children? Contact us and let’s get something on the calendar! What Does “Wealth” Really Mean for a Community’s Children? Being the wealthiest county in the United States might sound like a great thing, but for the vulnerable children and families living in Loudoun County, it simply isn’t. During 2016, SCAN will be helping agencies who serve children and families in Loudoun County to determine where gaps in services exist, explore what obstacles children and families are facing, and sift through data to paint a more accurate of picture of “wealth” in Loudoun County. Through a grant from the Northern Virginia Health Foundation, SCAN has been conducting focus groups in Loudoun County with INMED, LAWS, the Loudoun Child Advocacy Center, Health Works, CPS, Ayuda, Loudoun County Public Schools, VOA, and the Loudoun Community Foundation (just to name a few!) At these focus groups, we are taking the time to talk about what is going right in Loudoun County, what community supports exist, and what unmet needs and obstacles are facing children and families every day. We are proud to be a part of this new Loudoun County Partnership for Resilient Children and Families in its very first stages. The focus groups have been an informative way for SCAN to get to know the community better as well as an exciting new way for organizations to talk to one another. At the end of our grant, we will produce a report for agencies in Loudoun County to use when seeking funding for their programs and when having open conversations with the decision makers of Loudoun County. Funding, government supports and individual contributions will be able to be more efficiently used to fill in gaps and further develop the “wealth” of Loudoun County. Because wealth means many things, including a more connected community that protects children from abuse, helps foster positive parenting skills and ultimately builds stronger families. p.s. You can download an infographic about our work in Loudoun here. Participants in this year’s training spent the morning with Christie Marra from the Virginia Poverty Law Center in the Be Heard Advocacy Seminar, where they learned advocacy basics and how to navigate the Virginia Legislature to become stronger voices for Virginia’s children and families. In the afternoon Christie Marra was joined by Amy Woolard from Voices for Virginia’s Children and Kendra Kielbasa from Smart Beginnings Greater Prince William County for our policy panel discussion. During the panel, participants had the opportunity to learn and discuss the upcoming legislative agenda items surrounding Kinship Diversion, Youth in Foster Care aging out of the system, and the Virginia Preschool Initiative. Following the policy panel we welcomed Northern Virginia legislators to provide more insight on their goals for children and families in the upcoming 2016 General Assembly. Joining us on the panel was Senator George Barker, Del. Alfonso Lopez, Delegate Dave Albo, Delegate-Elect Mark Levine, and Delegate-Elect Paul Krizek. Participants were very active in voicing their questions and concerns for the upcoming year, and one noted that they “loved the legislative panel at the end, that it was very engaging!” The legislators took great interest in the topics being discussed and engaged participants to learn more about the critical issues children face in Virginia. Del. Albo, Del.-Elect Levine, and Senator Barker even took the opportunity to express interest in working with one another to sponsor a bill regarding Kinship Diversion , showing the strength of collaboration. So how can you be a stronger voice for children and families? Know your legislator. Use the “Who’s my Legislator” tool at http://whosmy.virginiageneralassembly.gov/. Collaborate! Facilitate connections with other advocates in your network. If you are nervous about being heard, then make your voice louder by speaking up with others. Follow SCAN’s Connections blog to stay up to date on current issues and trends affecting Northern Virginia’s children and families. 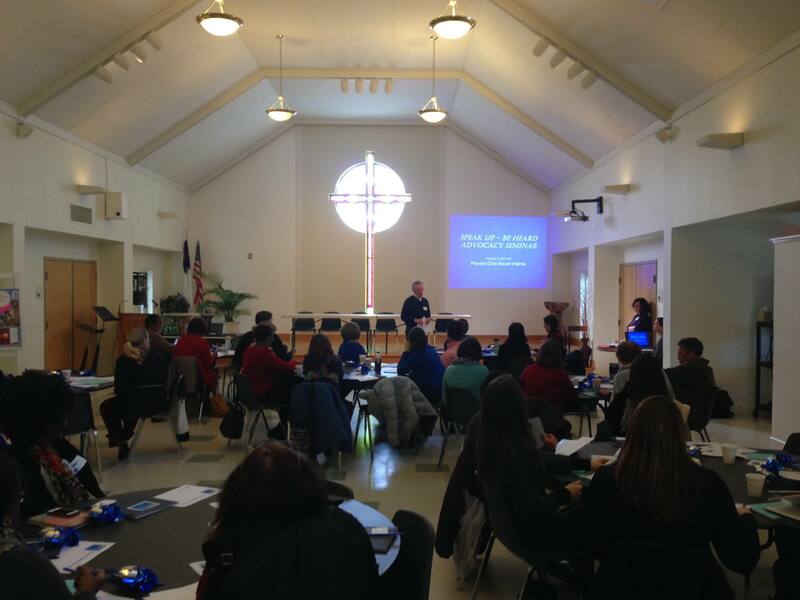 On Tuesday over 50 professional and community members who wish to be stronger advocates for children attended SCAN’s advocacy training event, Speak Up For Children!, a partnership between SCAN and Prevent Child Abuse Virginia. Christie Marra from the Virginia Poverty Law Center gave an engaging presentation about the legislative process and how advocates can influence policies that impact children and families. “An advocate’s role is to know the political climate, reach out for support, and rally the troops,” noted Christie. Participants spent the rest of the day being empowered to do just that. Jim Pope, J.D., MSW, the Fairfax County CPS Hearing Officer, shared the story of how his work with the Northern Region Child Fatality Review Team led to successful advocacy efforts at the state level. Jim’s case study on writing and advocating for a bill to allow the team access to critical information to properly address child fatality perfectly illustrated the legislative advocacy process presented by Christie. The training portion of the event was followed by policy and legislative panels. A panel of representatives from Youth for Tomorrow, Voice for Adoption, and the Commonwealth Institute for Fiscal Analysis spoke about how policy issues are impacting the populations they serve. The topics discussed included child trafficking, child mental health, and foster care and adoption. Participants also learned the powerful impact fiscal policy has on children and families. “Virginia needs a different approach than a “cuts only” approach to balance the budget,” noted Jeff Connor Naylor with The Commonwealth Institute. As the panel ended, one person noted that she “gained more knowledge about Virginia’s budget process” that would inform her advocacy work in the future. A panel of legislators from across Northern Virginia discussed potential state legislation dealing with children and families. Senator Barbara Favola and Delegates Dave Albo, Alfonso Lopez and Charniele Herring spoke with participants about everything from healthcare to poverty to child care standards. “It was helpful to see the legislators in person and hear their perspectives on the legislative climate,” noted one participant. For many, observing the legislative panel and interacting with local lawmakers helped minimize the distance they felt between their own daily work advocating for children and the larger systems which impact that work. Many indicated that they are now much more likely to track legislation that affects their clients, and contact their legislators in the future. 1. KNOW YOUR LEGISLATOR: This easy-to-use “find your legislator” tool makes it fast and easy! 2. ENGAGE MORE with your legislators: Child welfare professionals know the issues and challenges children and families face better than almost anyone, so we need to be the one’s to speak up and let our representatives know when there is a policy issue than needs to be addressed. Legislators need us to keep them informed, and they do value our input. 3. EXPLORE THE “LOBBYIST-IN-A-BOX” TOOL: You can subscribe to this service on Virginia’s Legislative Information System (or LIS) and track up to 5 bills for free. 4. SUBSCRIBE TO SCAN’s CONNECTIONS BLOG: Stay informed on the issues and trends in child welfare both here in Northern Virginia and across the United States. 5. VISIT SCAN’S WEBSITE: Our Statistics, Policy & Research page provides current statistics on child abuse and neglect in Northern Virginia, as well as links to additional resources such as white papers and fact sheets. We couldn’t agree more! Follow @SCANconnections and #speakup4kids on Twitter for more information and updates on advocacy throughout the year. What does a year of giving look like? July is the start of a new fiscal year at SCAN and a chance to take a look at how we did last year and what our plans are for the coming year. For me – as SCAN’s Director of Development – that means looking at our fundraising and development goals, so I thought I would put together a little summary for all our supporters who helped make SCAN’s child abuse and neglect prevention services a reality this year. CLICK on the nifty infographic I made (below) to illustrate it all. And of course, feel free to comment below if you have any questions! Celebrating Foster Care (and being glad there’s less of it)! SCAN’s CASA Volunteers are one group of adults working to support children in foster care. 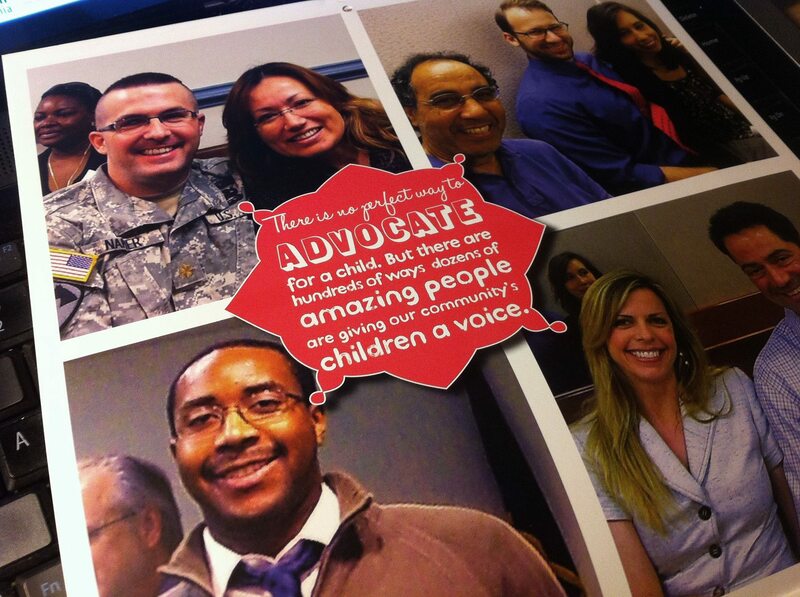 Here in Northern Virginia, we are also celebrating National Foster Care Month. It is a time to recognize all those who help support children in foster care (like SCAN’s CASA volunteers) and to acknowledge the progress we’ve made as a region, state and nation. But there are still far too many children without permanent homes. There were just over 5,000 children in foster care in Virginia as of April 2013 – an almost 40 percent reduction from April 2006. The story is similar in many Northern Virginia jurisdictions, with a 57 percent decrease in the number of kids in foster care in the City of Alexandria, a 44 percent decline in Arlington County, and a 32 percent decrease in Fairfax County. The numbers of children in foster care have been more stable in Prince William and Loudon Counties. There are a variety of reasons that fewer children are now in foster care. Much of the change is likely to due to an increased child welfare focus on keeping as many children home as safely possible. Following the 2008 federal Fostering Connections Act and state changes, social workers are trying to keep children in their homes whenever possible, with extra supports for families to help keep children safe. There is also an increased focus on placing children with relatives (also known as kinship care) if their parents cannot care for them, instead of placing children with strangers in foster care. Changing demographics in our area – as the cost of living continues to increase – may also be responsible for the decline. While fewer children in foster care is a positive step, there is still work to be done. First, we must ensure that children are receiving the services they need and that every child is in a safe home. We must also ensure that children in foster care return home as quickly and safely possible, after their parents have addressed the issues that brought them into care. Every child deserves a safe, permanent home and we must all work together to get there! May is National Foster Care Month, and we’re happy to bring you the first post of a two-part blog series on foster care. Today’s post was written by Lindsay Ferrer, CASA Case Coordinator, and the second post will be written by Adam Robe, CEO of Foster Care Alumni of America. Be sure to subscribe to our blog (enter your email address in the upper left-hand corner of this page and click “Subscribe via email!” button) to receive an email update when new posts are published. A mid-month update: Smiles, pinwheels & so many more opportunities to make a difference! We kicked off National Child Abuse Prevention Month in a blur of smiles and blue pinwheels! On April 2nd we distributed thousands of public education materials at our exciting Allies in Prevention Awards (smiles courtesy of ABC7’s Leon Harris and our amazing 2013 honorees! ), and we haven’t slowed down since. From visits to dozens of local businesses and faith groups (otherwise known as Pinwheel Partners) to attending the statewide Virginia Child Abuse Prevention Conference to media coverage in the local papers and even on the ABC7 evening news, SCAN staff and volunteers have found a renewed energy and commitment this month to empowering adults right here in our community to prevent child abuse and neglect. SCAN’s “regular” work continues, too. Our Alexandria/Arlington CASA Program just completed a new round of Volunteer Training and hosted a swearing-in for 14 new volunteer child advocates this month. Our Parent Education Program kicked off a new ABCs Para Padres (ABCs of Parenting) Class for Spanish-speaking families in April, and is hosting a number of fantastic Parent Workshops this spring covering topics like immigration law and family financial planning. To top it all off we’re thrilled to report that through our participation in Alexandria’s amazing one-day Spring2Action event yesterday, generous donors helped us raise over $4,000 for SCAN’s programs! 1. THIS SATURDAY, APRIL 20th, attend a Stewards of Children Training with SCAN at McLean Baptist Church. We’ll be training participants to recognize, respond and react to signs of child sexual abuse. EVERY adult in our community should have this training. Consider your faith group, local youth sports organization or neighborhood. Who else might be interested in this information? Learn more (and register) here. 2. 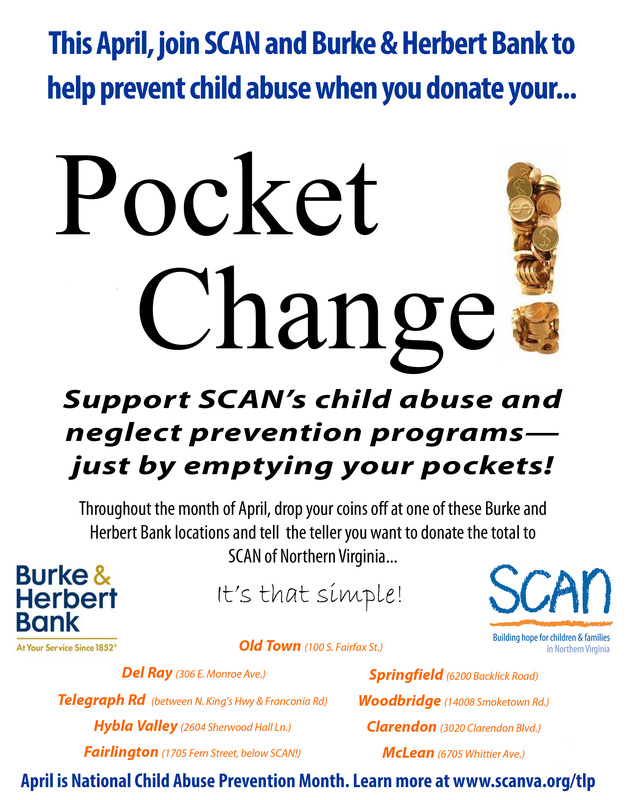 THROUGH APRIL 30th, donate your change at a local Burke & Herbert Bank location and they will match up to $1,000 for SCAN! Simply let your teller know you want to donate your coins to SCAN, and they’ll take care of the rest. For participating locations, see the official flyer here. 3. ALL MONTH LONG, visit our Pinwheel Partners in your community. Tell them you appreciate that they’re making a commitment to your community’s children and families. Buy a pinwheel from them to support SCAN, and then plant that pinwheel in your front yard, at your workplace or with your faith group. 4. ALL YEAR LONG, spread the word that EVERY CHILD & FAMILY MATTERS by sharing SCAN’s The Little Picture campaign. Check out our resources for community members and organizations to share here. p.s. And don’t forget – we love to hear about everything you’re doing this month for SCAN! Plant a pinwheel? Send us a pic! Visit a Pinwheel Partner? Message us on Facebook! This week we welcome Senator Barbara Favola to the blog! A longtime supporter of our issues and a SCAN Honorary Board Member, we’re thrilled that she’s giving us an important update following the end of Virginia’s legislation session last month. The 2013 General Assembly legislative session ended last week and it was a whirlwind. Senate Democrats held together and got a commitment from Governor McDonnell to participate in the Medicaid Expansion Program after certain reforms are in place. Expanding Medicaid would enable up to 400,000 working Virginians gain access to health care coverage and this expansion would also create some 30,000 jobs. The Governor’s commitment in this area helped me and 16 other Democrats vote for a comprehensive Transportation Funding Plan that wasn’t perfect but it was good. Two of my foster care bills are on their way to the Governor’s desk. One of these bills enables foster youth between the ages of 18 and 21 who are released from the Department of Juvenile Justice to access Independent Living Services. The other is a joint resolution that directs the Department of Social Services to conduct a study on foster care and adoption assistance payments for individuals up to 21 years of age. Federal dollars are available to fund extended subsidies but Virginia is not accessing these dollars. Thank you for the advocacy that many of you demonstrated in support of my legislative efforts to protect children and families. I look forward to providing you with periodic updates on Virginia’s participation in the Medicaid Expansion program. Senator Barbara A. Favola represents Virginia’s 31st district, which includes parts of Arlington and Fairfax counties, and a portion of Loudoun County. She served on the Arlington County Board for fourteen years (1997-2011) and chaired that body three times. During her service with the County, Senator Favola was the Board’s leading advocate for children, youth and families, and her contributions to the community include establishing mental health services in the public schools. Throughout her public life she has been a vigorous supporter of universal human rights. In the Virginia Senate, Barbara is focusing her legislative efforts on public safety, women’s reproductive rights, health care expansion, K-12 education funding, social services, foster children and domestic violence issues. She is also dedicated to environmental stewardship and maintaining the ban on uranium mining. 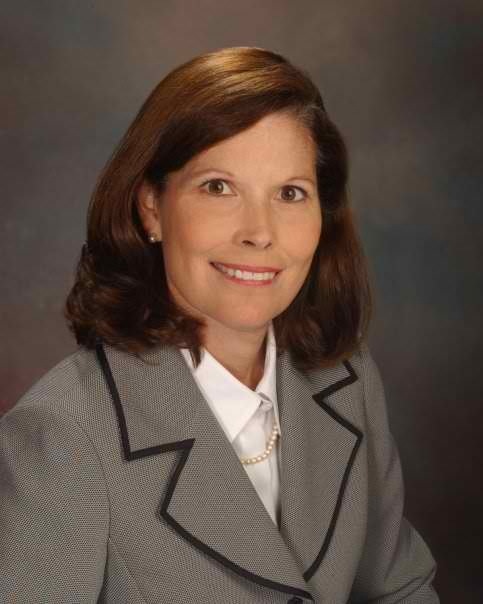 Senator Favola serves on Virginia’s Senate Local Government Committee, Rehabilitation and Social Services Committee, and Transportation Committee. She is now the Chair of the Women’s Reproductive Health Caucus. In 2012, Senator Favola was given a 100% rating from the Virginia League of Conservation Voters and NARAL Pro-Choice Virginia for her efforts during the legislative session to support the environment and women’s rights, respectively. She also received the Virginia Peters Nonprofit Friend of the Year Award from the Housing Association of Nonprofit Developers (HAND). Senator Favola was appointed to the Executive Board of the Women’s Legislative Network of NCSL (National Conference of State Legislators) as the Democratic Representative for the Southern Region. Senator Favola and her husband Douglas Weik have been residents of Arlington and the 31st district since 1982. Their son, Donald P. Weik, is a senior at George Mason University.